I've been busy creating, printing, laminating, making and trying out new products recently. 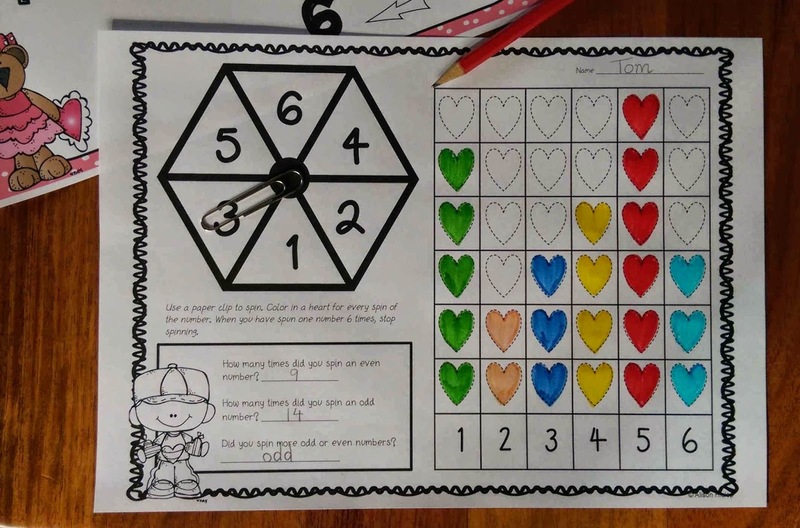 I have plenty of new and exciting activities to share with you to try in your classroom! 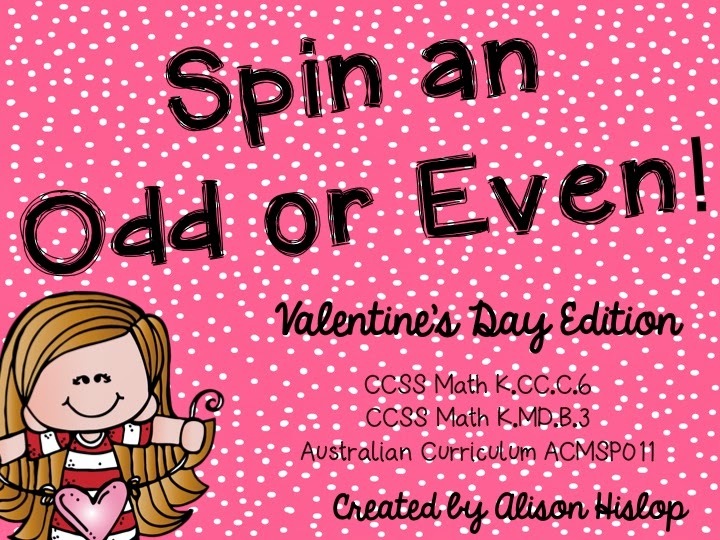 I know some celebrate Valentine's Day, others not, but I created this quick freebie for you today in case you do want to celebrate with some fun, but purposeful maths on Friday. Simply use a paper clip and pencil as a spinner! 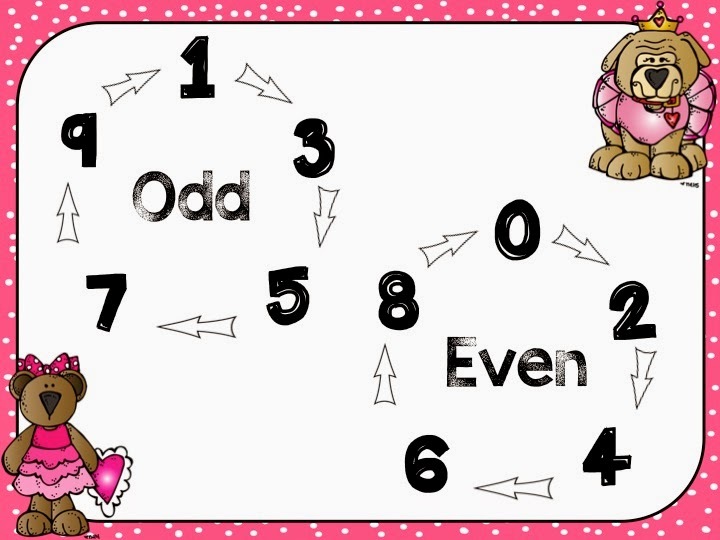 I also included this cute poster to display on your Smartboard or print out in your classroom. I have debated with teachers in the past about the position of zero, is it odd or even? I believe neither, but I always put it on the even board so children know that 10 is even, 20 is even, 100 is even etc. What do you think?